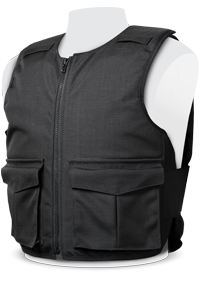 According to Robert Kaiser, CEO of PPSS Group, recently highlighted violent attacks on correctional officers stressing a real need for High Performance Body Armour within correctional institutions. Robert Kaiser is making this claim following a number of truly horrific and brutal attacks on correctional officers around the world, which most recently saw Officer Eric Williams being killed at a federal prison at Wayne County. We must remind ourselves that we cannot change the aggressive behaviour of some prisoners. There is simply no doubt that a prisoner consuming drugs, illegal substances or self-made alcohol can become hostile and violent within a split of a second, regardless of the officer’s excellent communication skill and calm personality. Our officers can be, and often are, the bearer of bad news e.g. informing the prisoner of any disciplinary, restriction of privileges, bad family news, cancellation of visits, or of the simple news that his/her cell will be searched, all of which can of course create all sorts of physical reactions. According to a publication of the American Correctional Officer 33.5% of all assaults in prisons and jails are committed by inmates against prison officers. According to official statistics obtained by the Howard League for Penal Reform show that recorded assault incidents in prison in England and Wales have risen by 61 per cent between 2000 and 2009. PPSS High Performance Body Armour has recently been supplied to one of the most high profile Supermax prisons in the U.S. and according to Bill Geraghty, Vice President of PPSS Group (North America Division), several correctional institutions in the U.S. and Canada are currently in discussions with PPSS Group. “I genuinely believe our body armour is the very best out there, simply due to the fact that our equipment offers unrivalled protection from blunt force trauma, shanks and hypodermic needles, the type of weapons used against our officers all over the world”, Bill Geraghty explains.